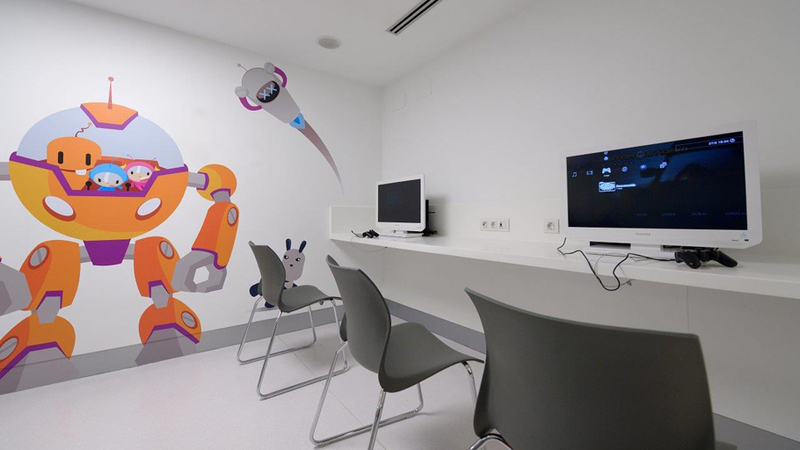 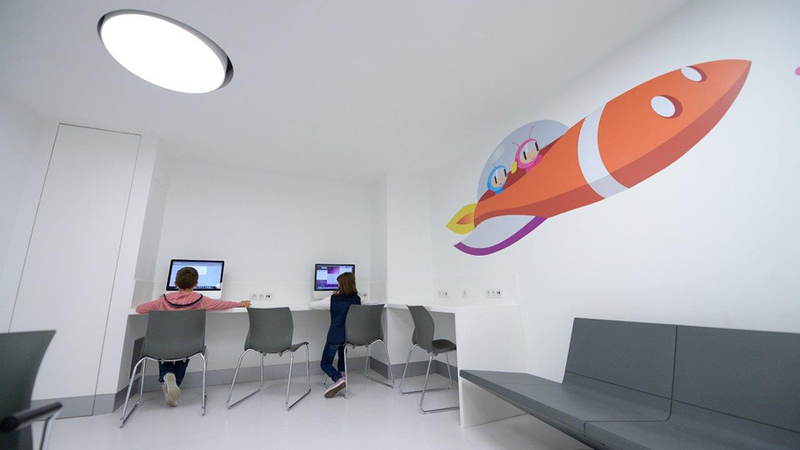 KRION® Solid Surface mineral compact by PORCELANOSA Grupo plays a very important role in a sophisticated clinic project in Zaragoza, to be precise, the centre specialised in orthodontics, which is called Clínica Lorente. 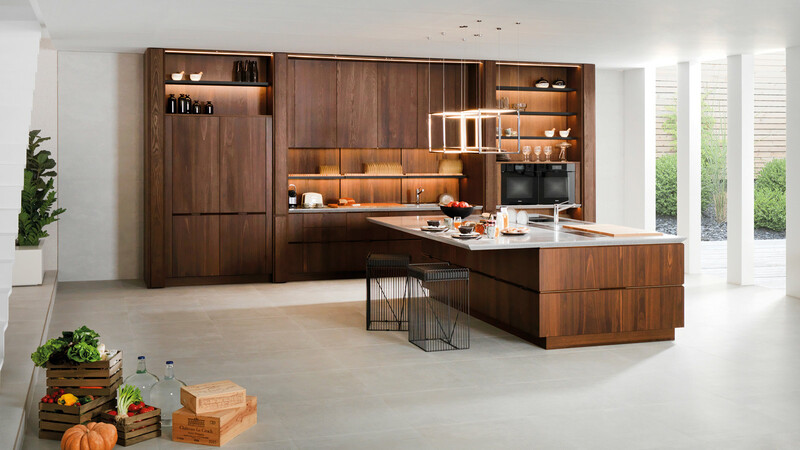 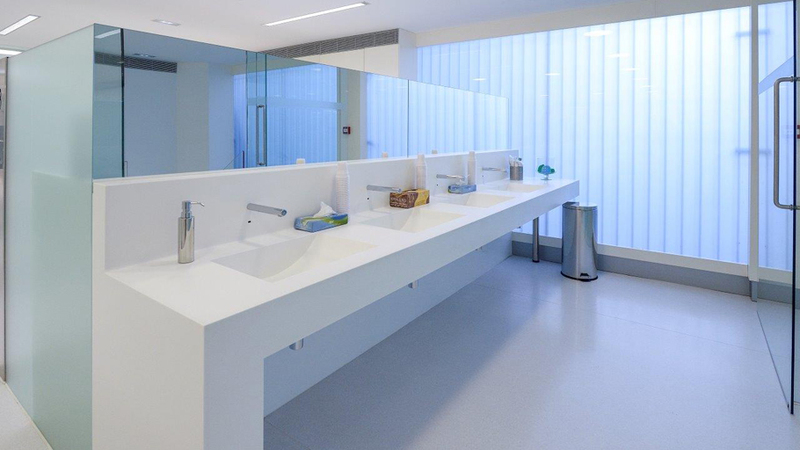 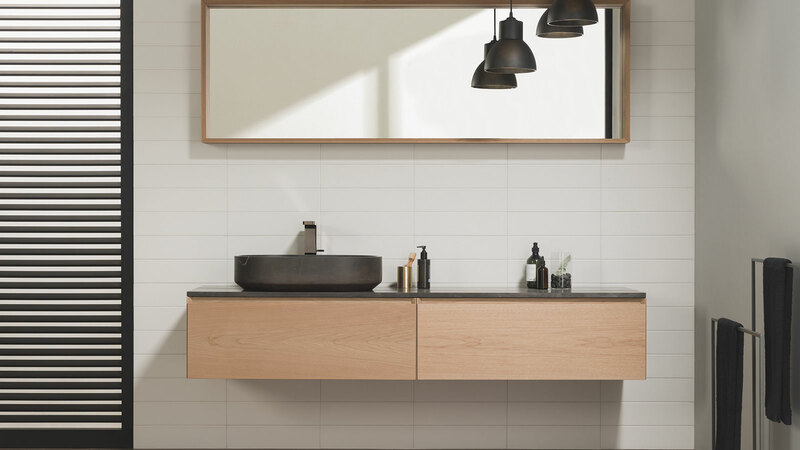 The high performance of the acrylic stone by Systempool has positioned it as a visible material in wall tiles and furniture in most of the installation rooms, as well as in its two reception desks, vanity tops in the bathrooms or the diagnosis room, where the KRION® 6501 Cream Colors Lyx version has been the choice. 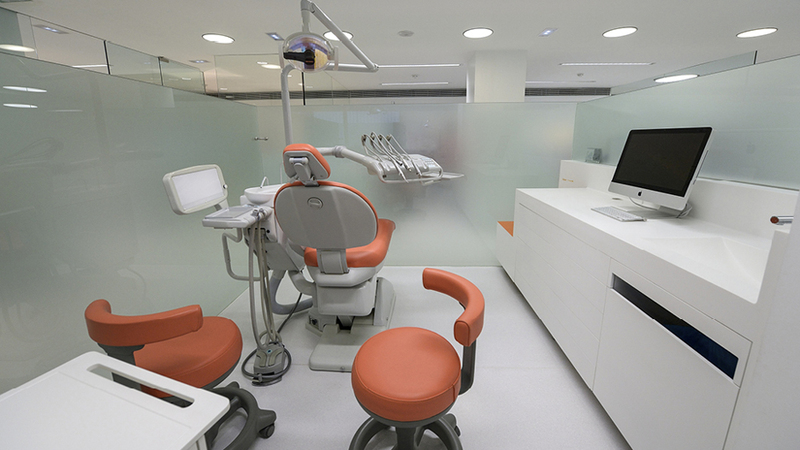 Among the properties, the state-of-the-art mineral compact is made suitable for this exclusive clinic project regarding orthodontics; it is worth mentioning its high durability and antibacterial hygienic power, as well as its ability to be backlit. 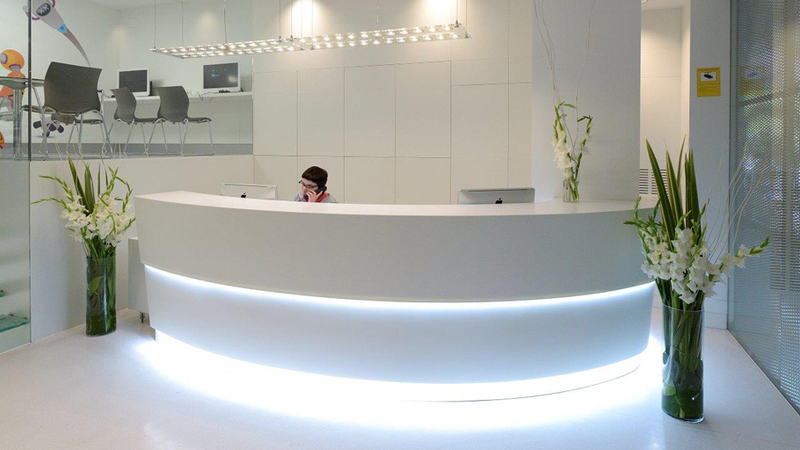 The latter is the reason why KRION® has been the choice when wall tiling the backlit wall located in the entrance hall. 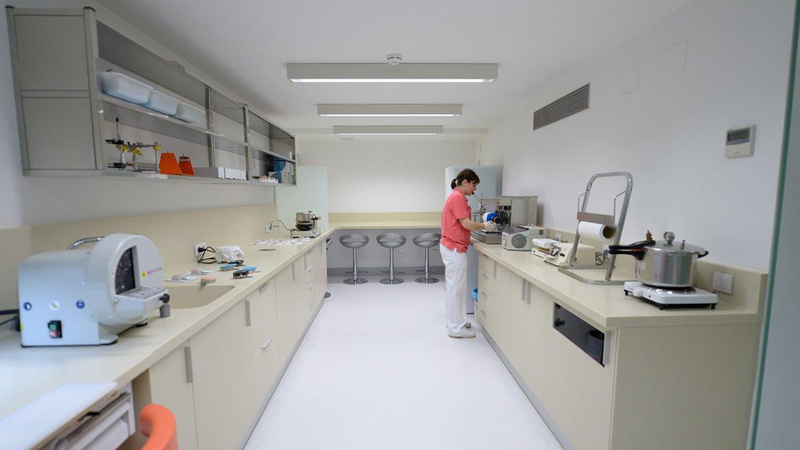 Clínica Lorente, with over 30 years of experience, has become a benchmark in the Aragonese capital, as well as at national level. 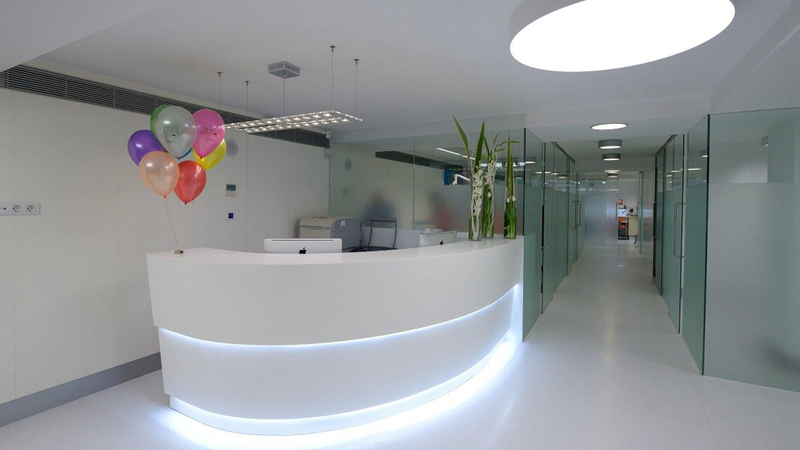 By means of their work, the professionals not only give the best orthodontics service, but also a pleasant experience aimed at achieving excellence in healthy smiles.